Part of every trip to an unfamiliar destination is a visit to one or two tourist traps. While some of them must be avoided at all times and costs, others are worth the time, effort and money. 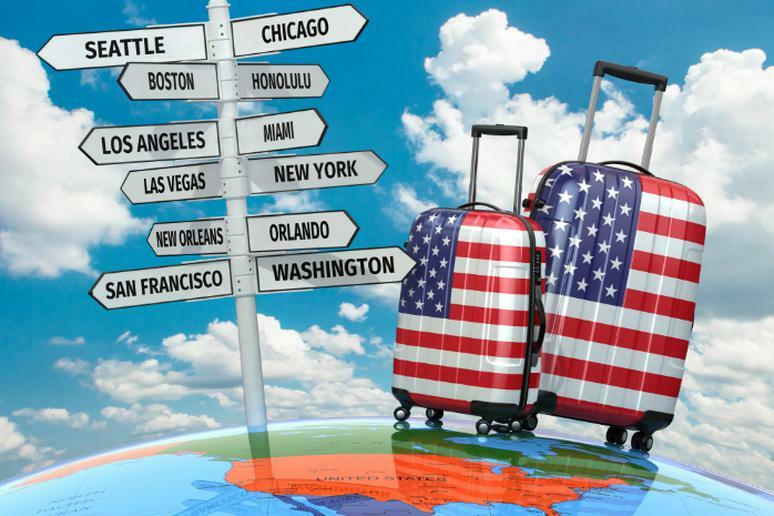 From visiting all 59 national parks, which are still referred to as “America’s best idea,” to going to football games, embarking on a safari and even attending a rodeo, the great American bucket list has a stunning variety of activities and tons of places to see. With the help from various travel sites and published adventure stories on The Active Times, we have compiled The Great American Bucket List. It’s time to get out there and conquer the world. Grab your bucket list; you will definitely want to add these trips to it. Traveling with a car along the legendary 2,400 miles from Chicago to Santa Monica is one of the craziest adventures you can do in the country. 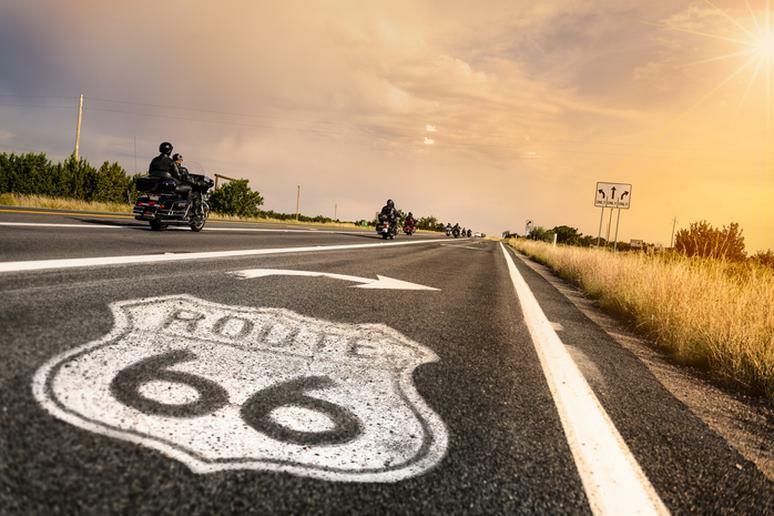 The historic Route 66 has been featured in just about everything – TV, music, movies. Many places still keep the original two-lane highway. Stop by Pontiac and visit the Route 66 Association Hall of Fame & Museum. 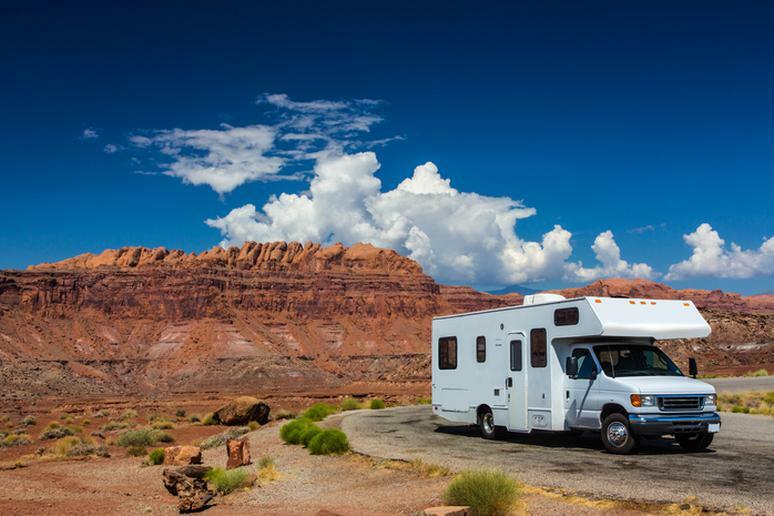 Along the way you’ll also find stunning panoramas, charming towns, rocky cliffs, and beautiful deserts and parks. If you really want to see what it’s like to be “alone” on the road, go west from Kingman past the saguaro cacti and loose boulders. You’ll get to Oatman, an old gold-mining town. Don’t forget to visit the Meteor Crater in Arizona, which is 50,000 years old. This is classic hike. When it comes to Yosemite, John Muir definitely deserves founding father status. The Scottish-born world famous naturalist was the catalyst in the creation of the park, and his namesake trail runs 211 miles between Yosemite Valley and Mount Whitney (the highest point in the Lower 48). This is a land made up of 13,000-foot and 14,000-foot peaks, lakes in the thousands, and canyons and granite cliffs. 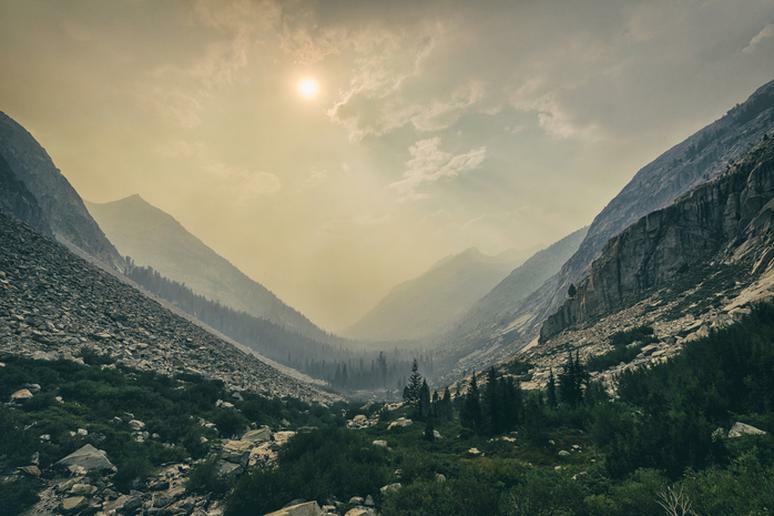 The JMT is has the mildest, sunniest climate of any major mountain range in the world, according to the Pacific Crest Trail Association. Visiting all 59 national parks in the U.S. and its territories in 52 weeks in an airstream, is often referred to as the “greatest American road trip.” It sounds like an impossible adventure to many, but several people have already been on the road doing exactly that because of the centennial anniversary of the National Park Service. It’s a combination of being very happy to be in the parks but also very tired. 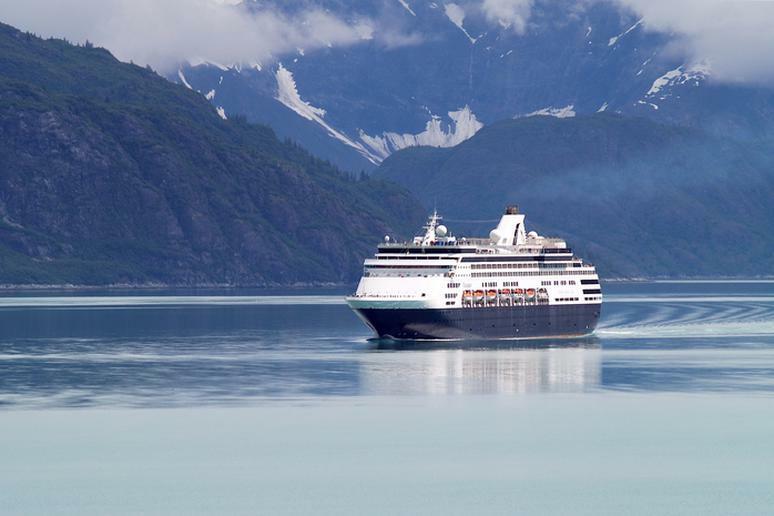 Cruising Alaska, one of the most “outdoorsy” state in the U.S., is more popular than ever before, but you can still find a great deal if you’re flexible, especially in the summer. A 7-day cruise aboard the Grand Princess of Princess Cruises makes stops in Glacier Bay, Skagway and Juneau, among others. The reasons to visit the Last Frontier are endless – unique wildlife everywhere, migrating salmon, mighty mountains, and national parks. 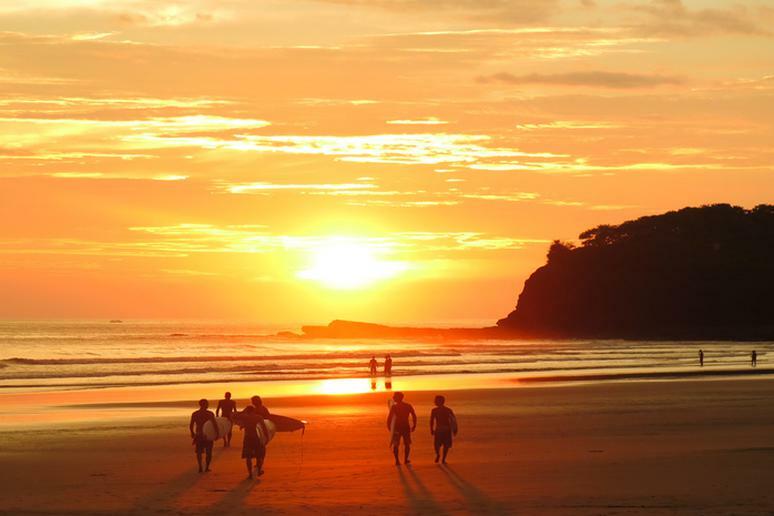 Most people associate surfing with warm water, sandy beaches and lots of sunshine. The sport can easily transition into the winter. In fact, many fans prefer the cold season because that’s when they get the best waves and favorable winds. Also, there are fewer people. Just make sure you have the right gear. 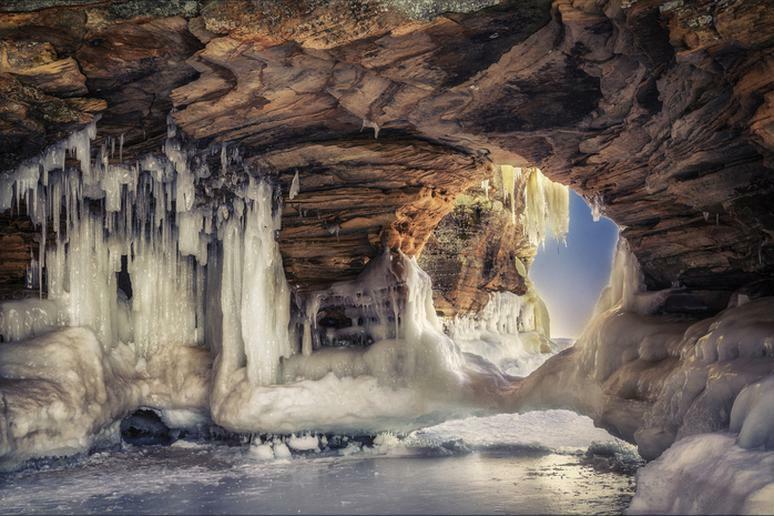 Bayfield Peninsula Sea Caves are some of the most jaw-dropping sights you can witness in the country. In the winter, they are morphed into ice caves. Take the entire family and explore their beauty. The incredible formations and the splendor of the crystal clear ice will astonish you. Spectacular year-round ice caves you can visit are Big Four in Washington, only a short drive from Seattle, and Mendenhall Glacier in Alaska. They are constantly on the move, as the glacier inches towards Mendenhall Lake and changes shape along the way. Did you know that The Big Island is getting bigger every year by about 42 acres because of lava flow from the Kīlauea Volcano? It can even be seen from space. The phenomenon is known as lava delta – when lava flows into the ocean over a long period of time resulting in the formation of new land. 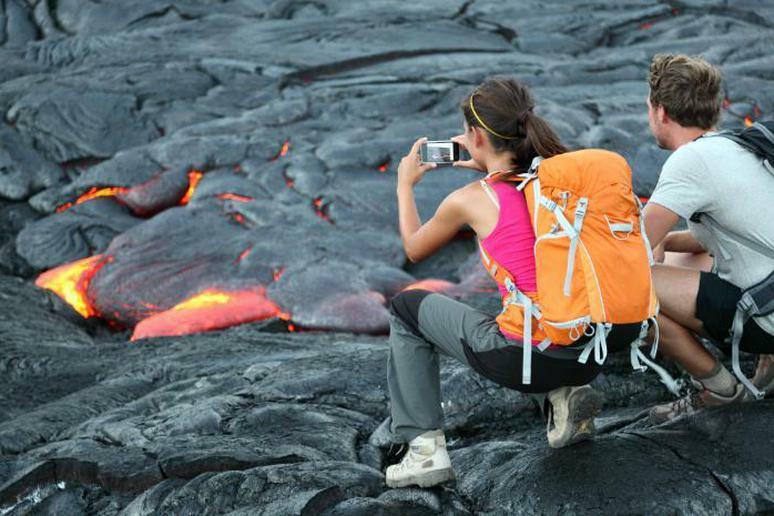 There are two possible ways to see the lava: From a distance, e.g. in the crater of the Kilauea Volcano, and close by from boats as the lava flows down the island into the ocean, according to Love Big Island. The Ocoee River in in the Cherokee National Forest is among the most popular whitewater rafting destinations in the country, and also one of the most dangerous. It has more than 20 continuous rapids. More than 300,000 people go every year. The rapids are categorized as Class III, but Mickey’s is Class IV. Adventurers get to choose between a 5-foot ledge drop into a deep hole or a rocky descent down a 4-foot ledge. Few adventures are as thrilling and terrifying at the same time as riding mighty waves. 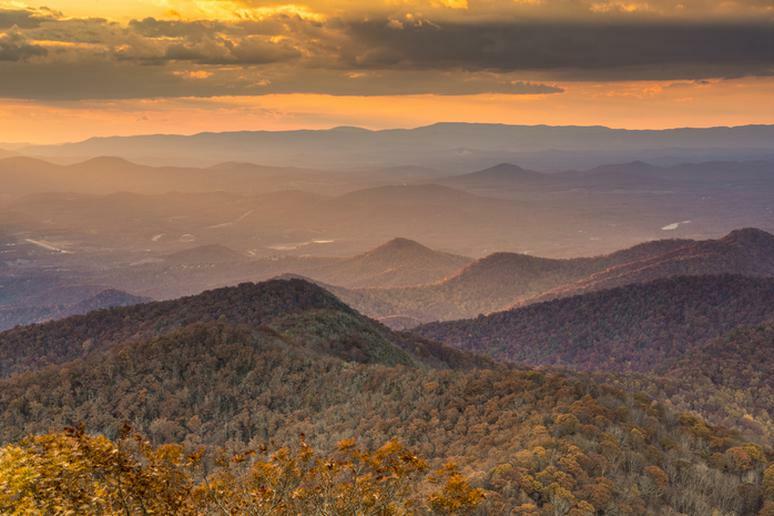 Arguably the most famous long-distance trail in the world, the Appalachian Trail runs for approximately 2,200 miles from Springer Mountain, Georgia to Mt. Katahdin and Maine. Marked by iconic white blazes, the trail attracts 2 million hikers annually, including some two-thousand would-be thru-hikers. Part of the trail within Great Smoky Mountains National Park, the most visited in the country, is perfect for majestic fall foliage displays. A lot of volcanoes have been in a continuous eruption state for decades and even thousands of years. 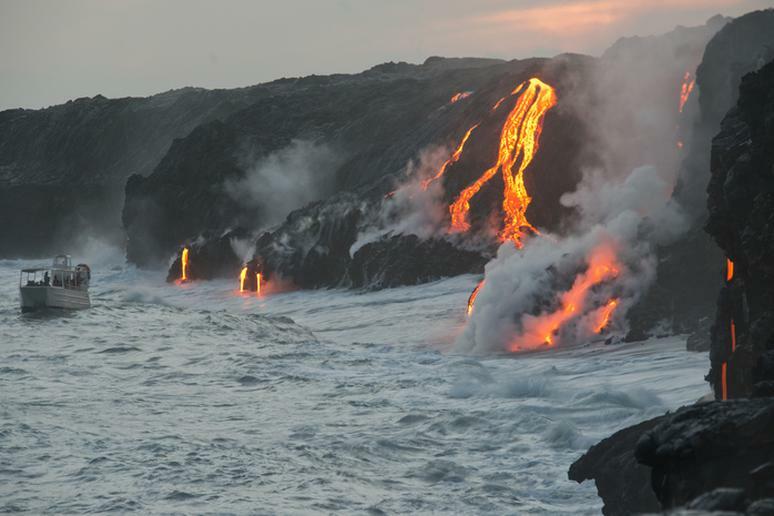 As the most active volcano in Hawaii, Kilauea has had a history of eruptions. Try hiking the Kīlauea Iki Trail. You will descend through a lush rainforest to the floor of the solidified but still steaming Kīlauea Iki Crater lava lake, according to NPS. Bring water, food, hat, sunscreen and rain gear. 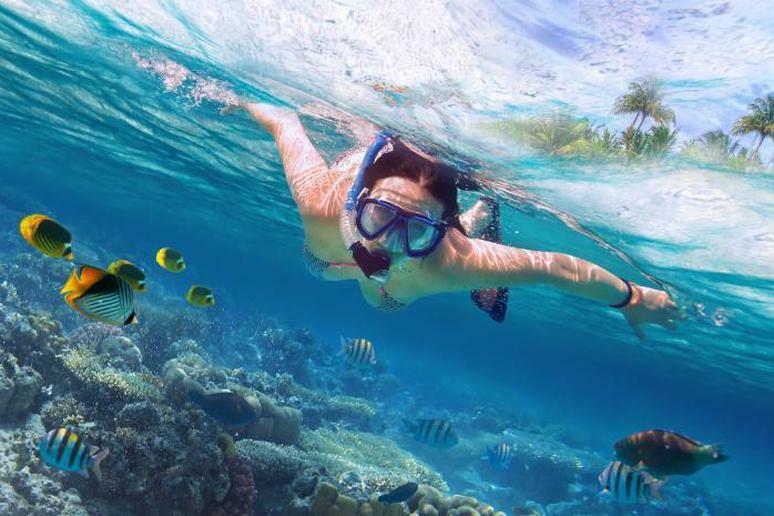 Snorkeling is the perfect way to get close to pure marine life without swimming at unnerving depths. Floating calmly in clear blue waters and gazing at bright and colorful flora and reefs, swarmed by many different kinds of fish species makes for an unforgettable trip. By far the Lover’s Cove is the most popular snorkel spot off Catalina. Snorkelers will see sea stars, eels, anemones, octopuses, and, most notably, the brilliant orange Garibaldi fish. 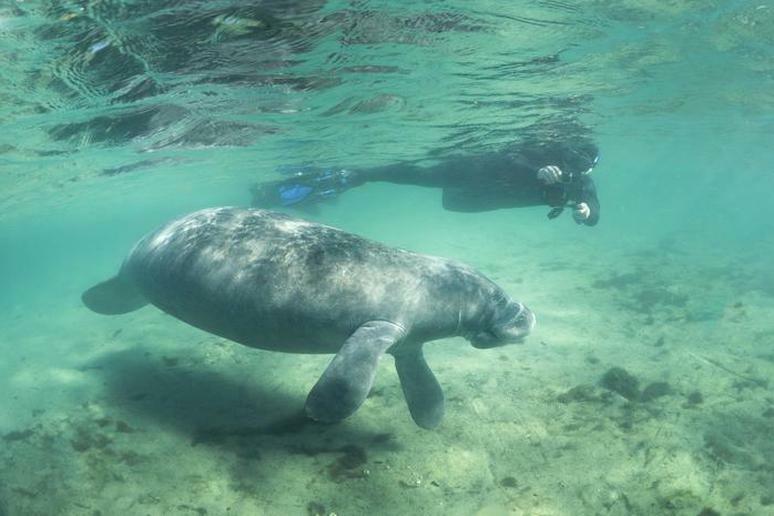 Crystal River is the best place to go swimming with manatees and the best time is in September and October when there is a rise in the manatee population. Reputable outfitters can take you to the manatees without disturbing their fragile habitat and provide all the gear you need, including wetsuits. The water temperature in the river is a brisk 72 degrees year-round. Exploring underwater caves can be an incredible experience, but you should be properly trained and it’s best to travel with a guide. 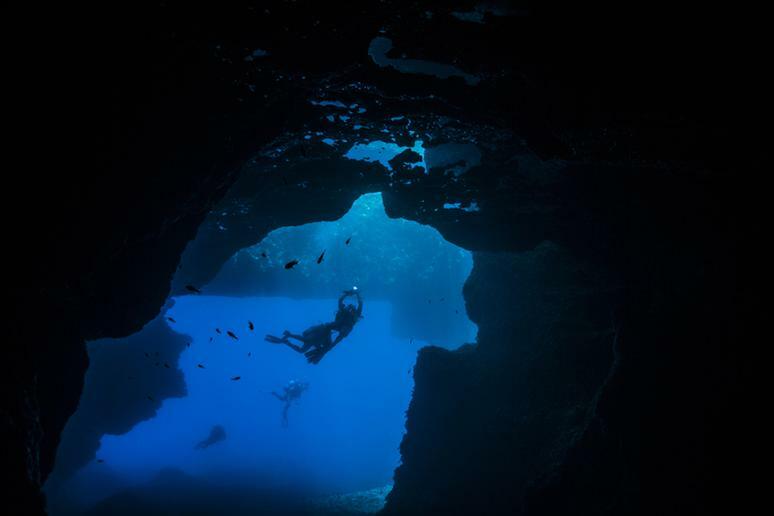 It is especially dangerous because if something were to happen, the diver cannot swim vertically up to the surface because of the surrounding cave. Some of the best places to go cave diving in the U.S. are Devil’s Cave System in Ginnie Springs and Merritt's Mill Pond in Florida. This is one of the most dangerous camping places in the world. Sahale Glacier is on the south slope of Sahale Mountain, North Cascades National Park. 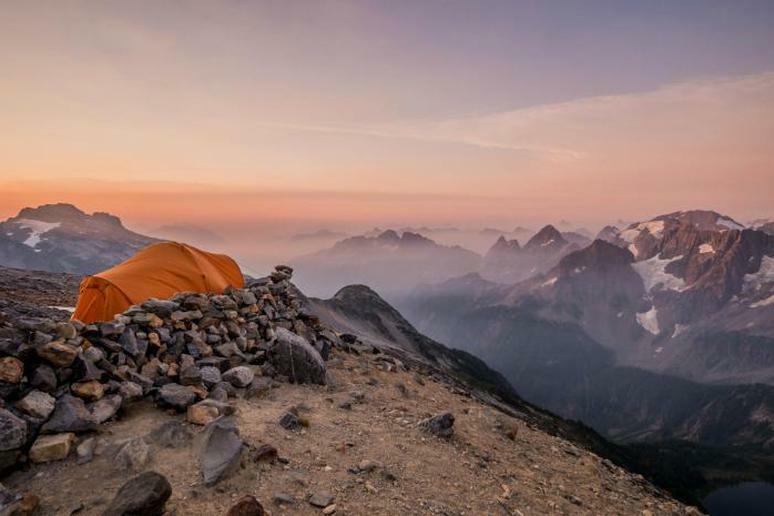 There is no camping at Cascade Pass, but the best camping place is close enough about 5.7 miles in and 7,600 feet high. The views of alpine meadows, snow-covered summits and lakes are absolutely incredible, but getting to the camp is not easy. 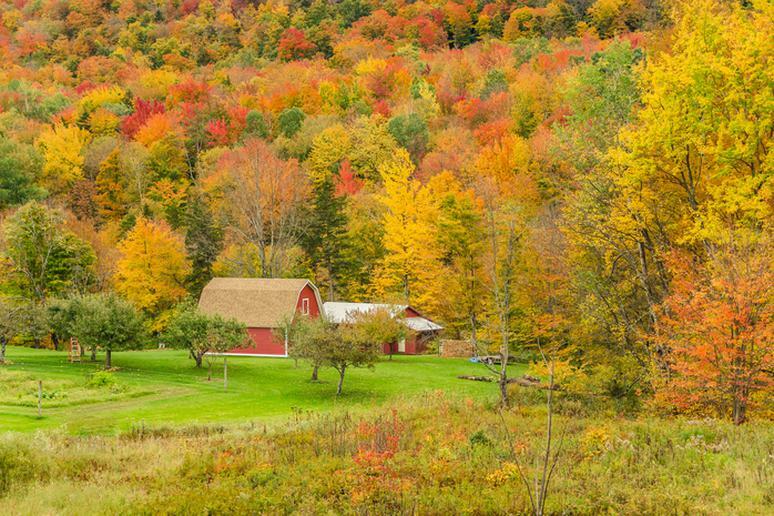 Clean air, panoramic views of bursting bright colors and miles of forests – the New England states are not the only ones boasting awe-inspiring fall foliage. All of New England is known for its autumn colors. Chances are you already live a short road trip away from spots with phenomenal mixtures of yellow, red, orange and green. 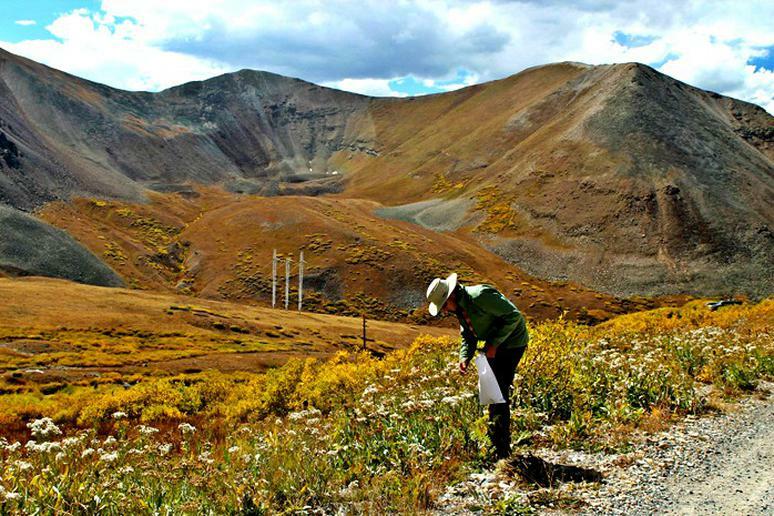 Adventurers and fans of outdoor activities can’t wait to put their hiking boots on. The Boundary Waters Canoe Area Wilderness is part of the Superior National Forest. Over 1 million acres in size, it has over 1,200 miles of canoe routes. 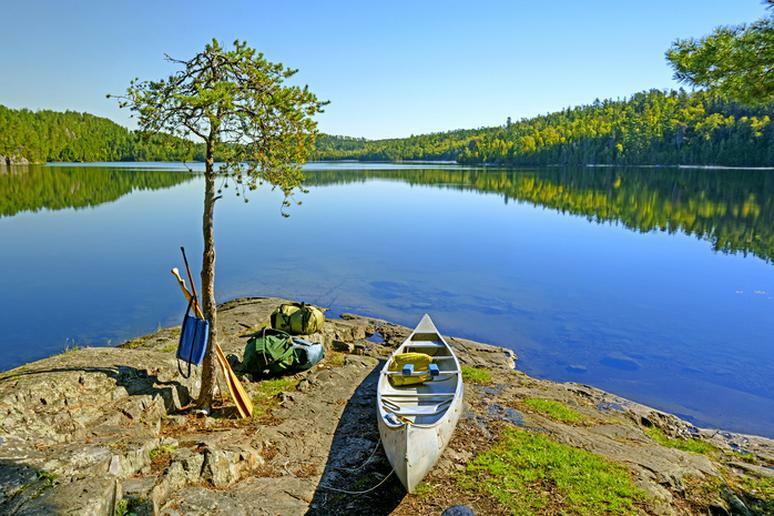 Because this area was set aside in 1926 to preserve its primitive character and made a part of the National Wilderness Preservation System in 1964, it allows visitors to canoe, portage and camp in the spirit of the French Voyageurs of 200 years ago, according to the U.S. Forest Service. Regardless of whether you like football or only watch the final game for the commercials, watching the Super Bowl live is only topped if you were a player and won the trophy. 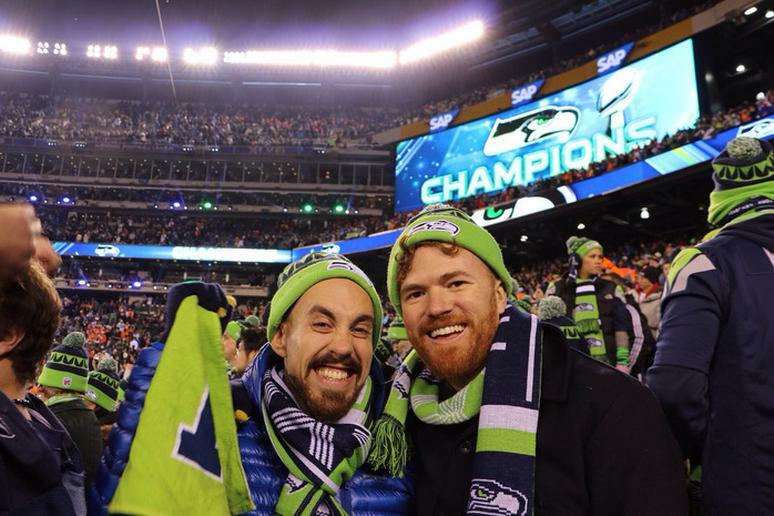 The lights, the fireworks, the half time show, the fans, the quality of game, the after-party (especially if your team wins) – all of these make seeing the Big Game live a must-do. It’s the perfect guys-only getaway. 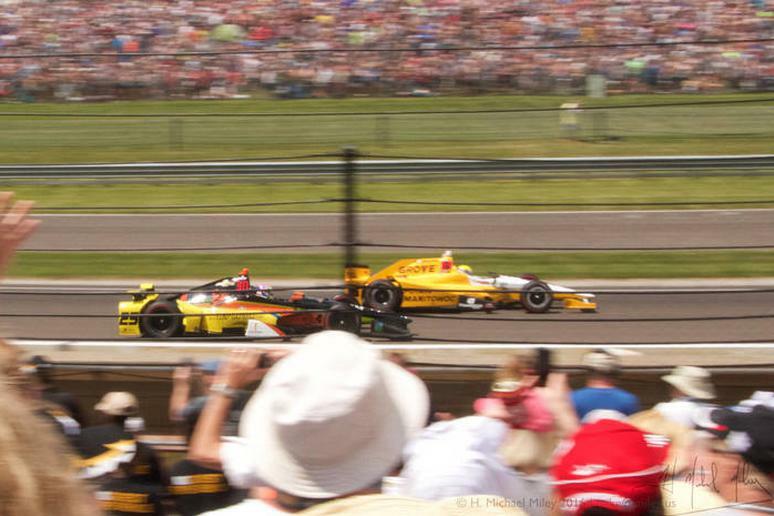 The Indianapolis 500 Mile Race is called “The Greatest Spectacle in Racing.” If you are into fast cars, seeing it live is a must. 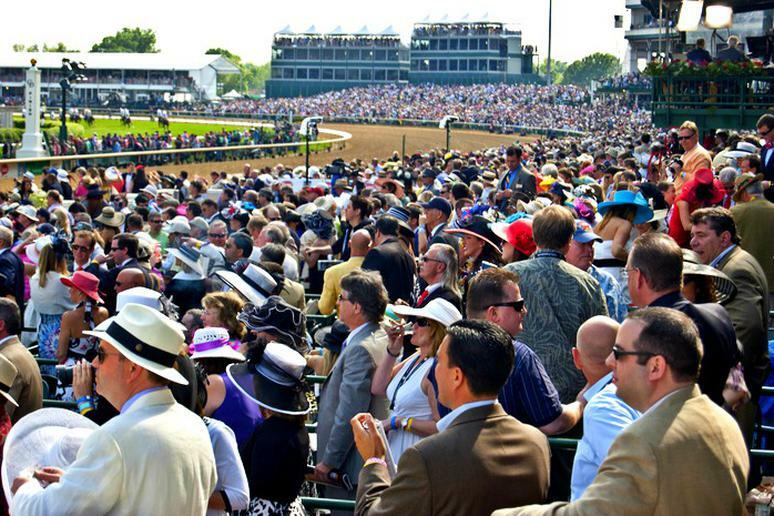 Along with the Kentucky Derby, the Rose Bowl and a select few others, the Indianapolis Motor Speedway and its marquee event has retained its status as the most powerful one day event for a sports fan. This is definitely one of the most scenic roads in the entire country. If you want to go beach hopping, this is the road trip for you. 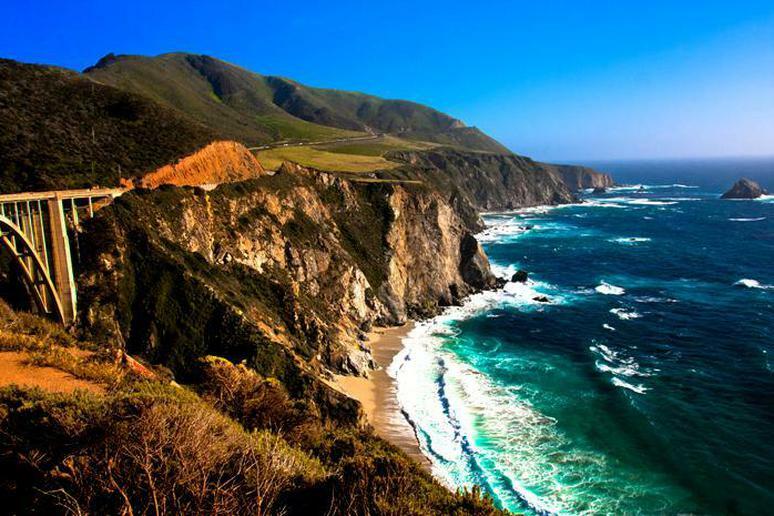 The Pacific Coast Highway will take you to some remarkable beach towns, some can even be great for surfing, eventually leading to the famous Big Sur, a rugged stretch of California’s central coast between Carmel and San Simeon. Drive Big Sur’s length via twisting Highway One. The Bixby Bridge is a favorite spot for photos. Another one is McWay Falls, a cascade that falls about 70 feet into a remote beach. Alaska is one of the best places to see the Northern Lights before disappear. They can be seen all over the Land of the Midnight Sun. However, the most reliable spot to see them is Fairbanks. 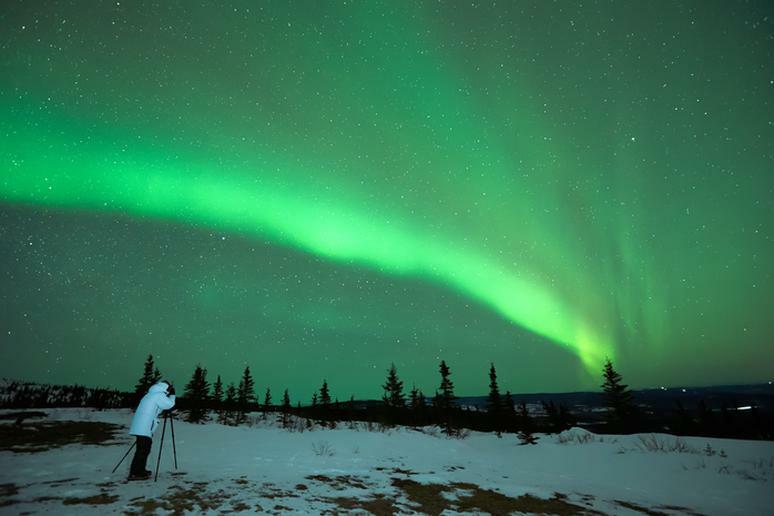 Take the Northern Lights Tour and follow your guide to some of the best locations to view the aurora. Tip: Visit in the winter when it is cold and dark for peak viewing. Colorado has some of the best ski resorts in the world, including for beginners and “non-skiers.” Aspen Snowmass, for example, never fails to charm each and every guest—even those not interested in the excellent powder-topped terrain. Ullr Nights, the Friday night gathering that takes place each week, includes family, friends, tubing, snowbiking, ice skating, hot chocolate, a bonfire and live music. The resort also hosts yoga classes at 11,212 feet with stellar views and excellent programs for kids. San Diego is one of the coolest surfing towns in the world. It has awesome wave pools in addition to a plethora of good surf spots and some of the best surf schools in the country. 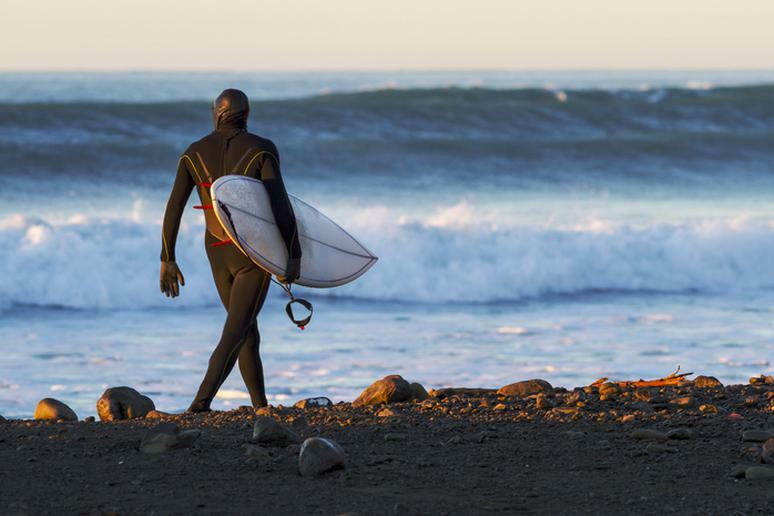 Some of the best spots are the world-famous river-mouth point break at the border of San Diego and Orange Counties –Trestles, Oceanside and its miles of gentle breaks, Cardiff, Del Mar, Blacks Beach, which is arguably San Diego's best wave. 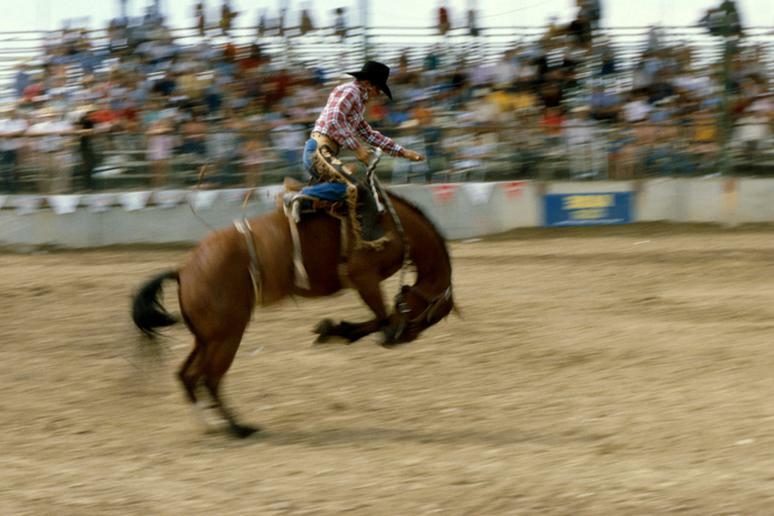 Catch a rodeo at Cheyenne Frontier Days, the world’s largest outdoor rodeo. The city has been known for decades as the prime location for railroading and rodeo-ing in the country. There are also many steam engines and working dude ranches to check out. Every Friday night, during summer, small towns are lit up with the excitement of rodeo arenas, according to Travel Wyoming. 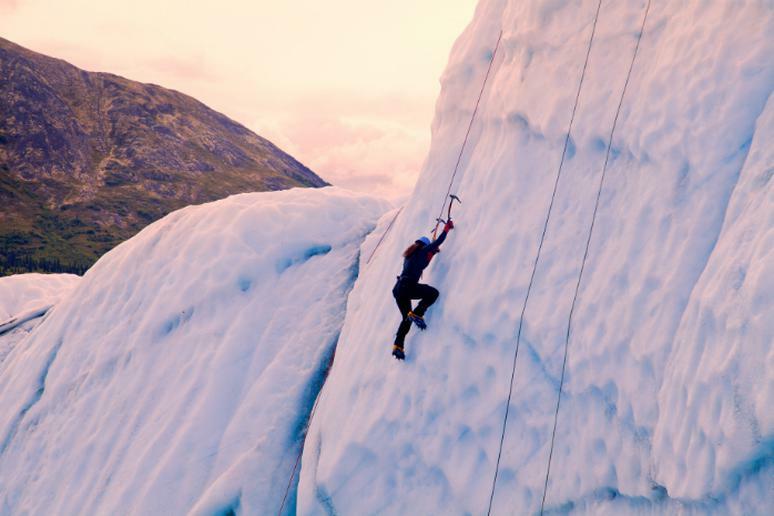 Ice climbing is no longer just a subset of mountaineering. More and more adrenaline seekers climb frozen waterfalls and steep ice since the equipment for this high-risk sport has gotten better. 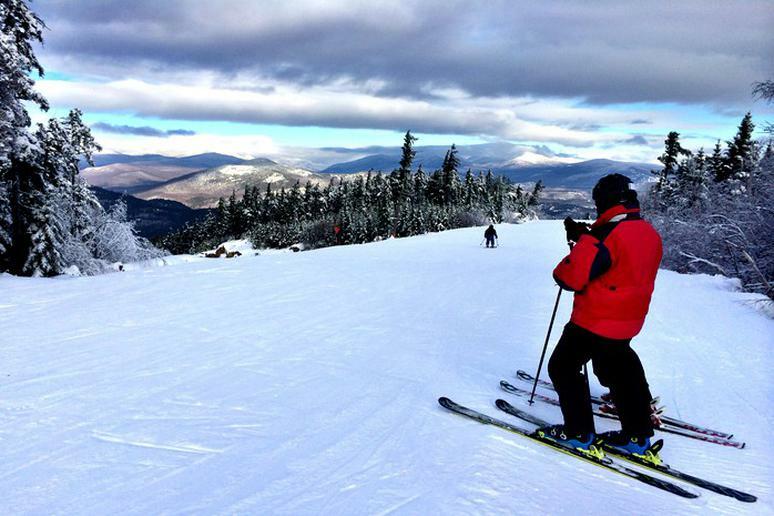 For an extreme experience, try Mount Washington in New Hampshire. The weather changes fast and all the time and ice and snow is everlasting in many parts of the mountain. Alaska and Montana are friendlier. Ice Climbing in Glacier National Park is for the more experienced climbers. This is the place where magic happens and dreams come true. 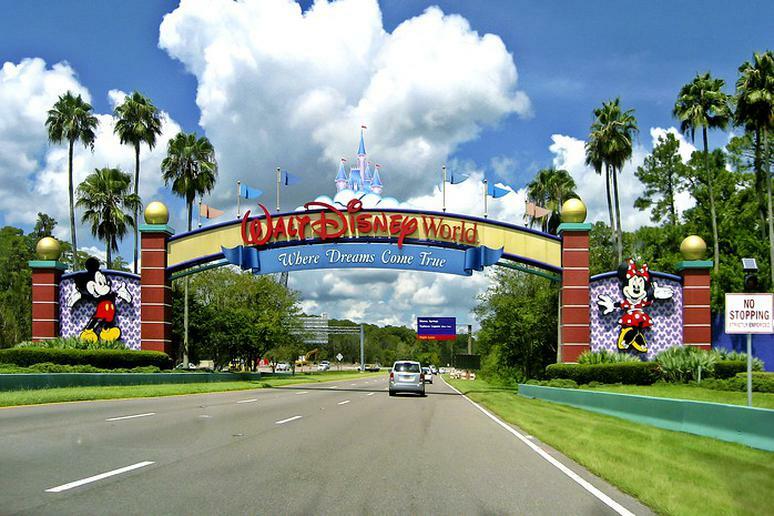 If you haven’t already, visit Walt Disney World. There is so much to do and even more to explore. Take your family on a behind the scenes tour; have a seat at Cinderella’s Royal table and enjoy a meal with Cinderella herself; ride the monorail for incredible sightseeing opportunities; and hop in an open-air vehicle and explore the African savanna on a safari at Animal Kingdom. 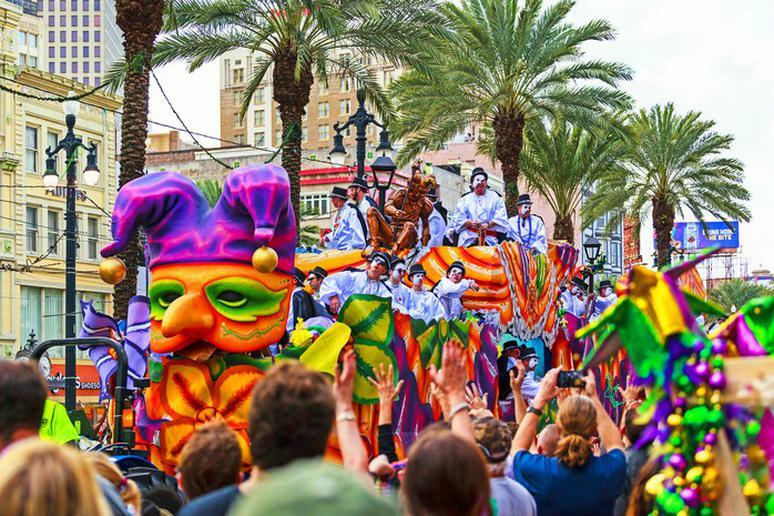 New Orleans is known for its extravagant parties, one of which includes Mardi Gras. Participate in festivals, join in on the parades and even take a city tour. A trip to the Grand Canyon would not be complete without a hike. Visitors say hiking the canon is an incredible experience and the backcountry is truly amazing. 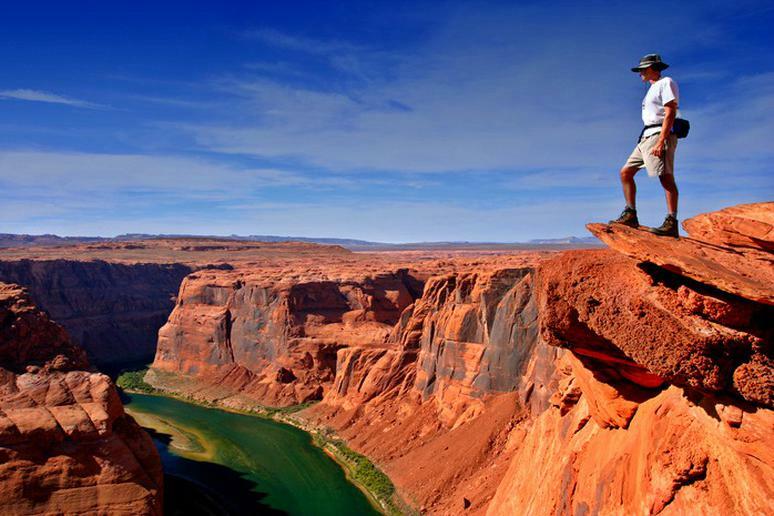 Hike the Rim-to-Rim Trail, the Bright Angel Trail, Rainbow Rim Trail, Hermit Trail and South Kaibab Trail. Niagara Falls links the international border between the U.S. and Canada. It was formed by receding glaciers. 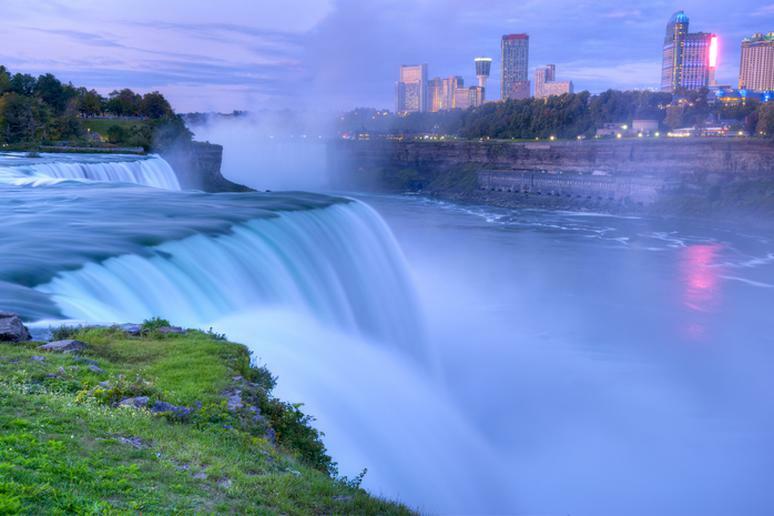 It consists of three waterfalls: The Horseshoe Falls (the most powerful waterfall in North America), the American Falls, and the Bridal Veil Falls. The falls are located on the Niagara River and they have a combined fall with the highest flow rate of all of the world’s waterfalls. Also known as the “Roller Coaster Capitol of the World,” this is one of the world’s most popular amusement parks. It contains 18 world-class roller coasters and a variety of family-friendly rides. 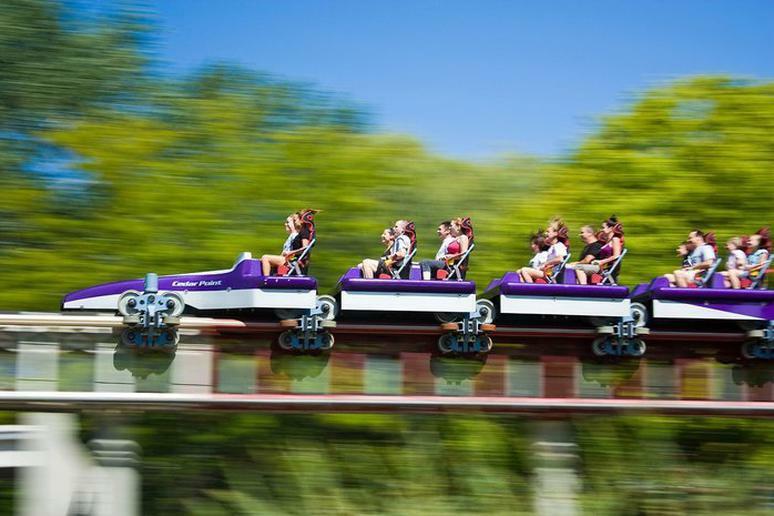 Ride the Millennium Force – one of the world’s most thrilling roller coasters. It is a 310-foot ride that reaches speeds of 96 mph and features an elevator cable lift system that helps you get to the top faster. 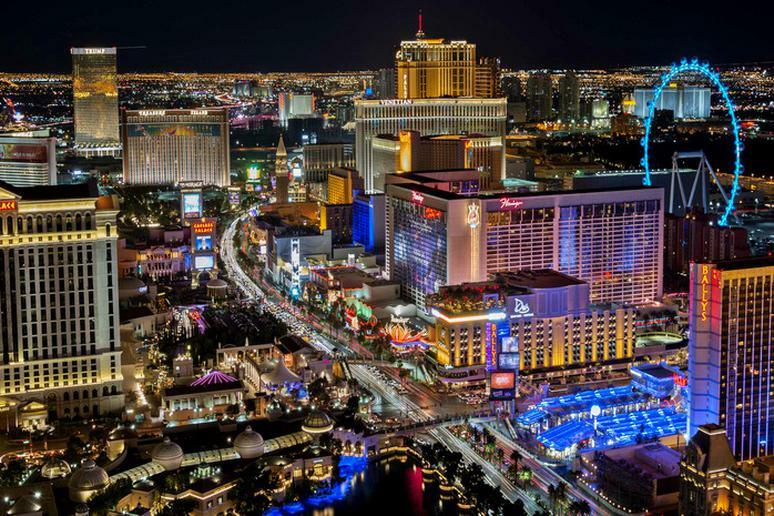 There are tons of adrenaline inducing activities in Las Vegas, but probably the most popular is the SlotZilla zip line. Soar down Freemont Street between the casinos and pedestrian promenade. Then, if you’re looking for some fun outside the city, zip line with Flightlinez and soar over the Mojave Desert. If you are looking for a spectacular view, look no further than from the top of the Space Needle in Seattle. The observation deck is located at about 520 feet. 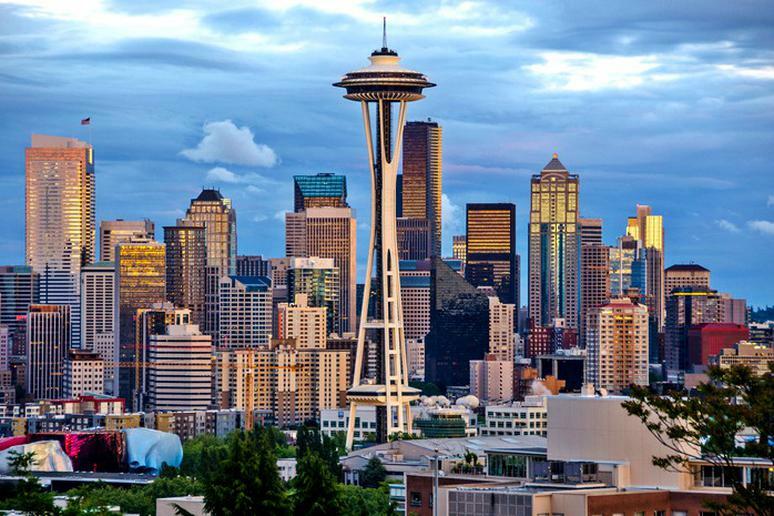 It offers 350 degree views of the Emerald City. 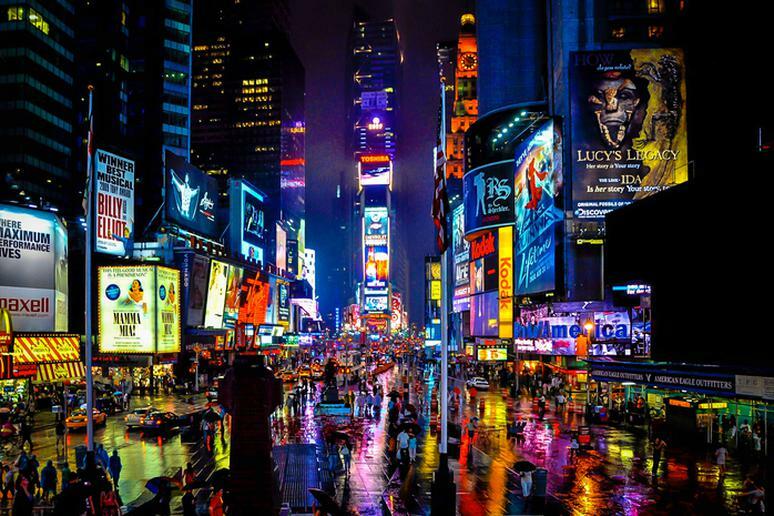 Times Square is one of the best and most visited attractions in New York. Tourists can enjoy delicious foods from famous restaurants, shopping in countless shops and watching plays and musicals. But visit at night for one of the most magnificent Times Square experiences; simply look around you and admire the city’s lights. Hop in your car and head out to Overseas Highway for a spectacular trip. The drive from Miami to Key West is 150-miles. 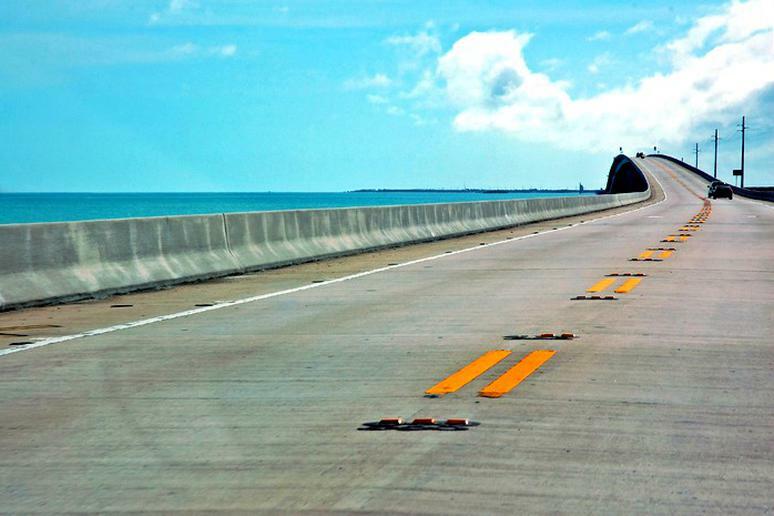 It is known as one of the “greatest American road trips of all time.” There are tons of things to do and see along the way, but probably the most famous is simply driving over the Seven Mile Bridge. Once you get to Key West, visit their famous beaches and go sailing, snorkeling and swimming with sea turtles. Hop on board and explore one of the most famous rivers in the U.S. – the Mississippi River. 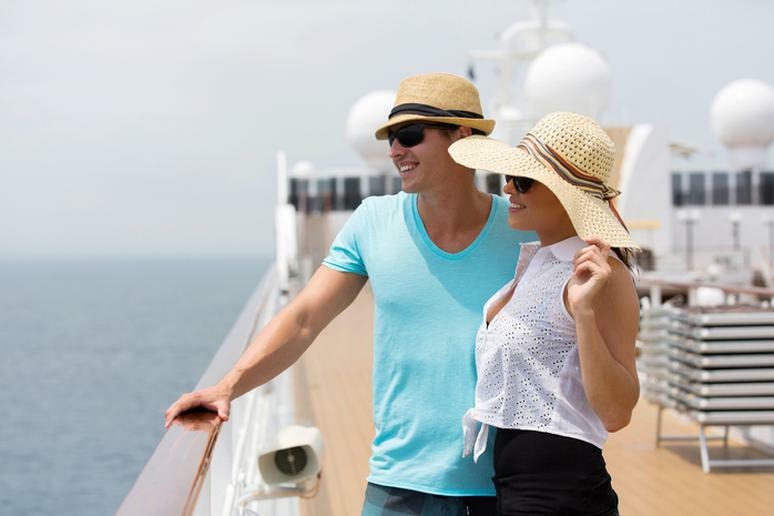 American Cruise Lines will take you on a luxurious history and culture trip through Mississippi and Ohio aboard two paddlewheeler river boats. USA River Cruises also offer different trips. There are plenty of variations, including going from Memphis to Nashville on a ship. If you have always wanted to learn how to ski, it’s important that you choose the right ski school for you. 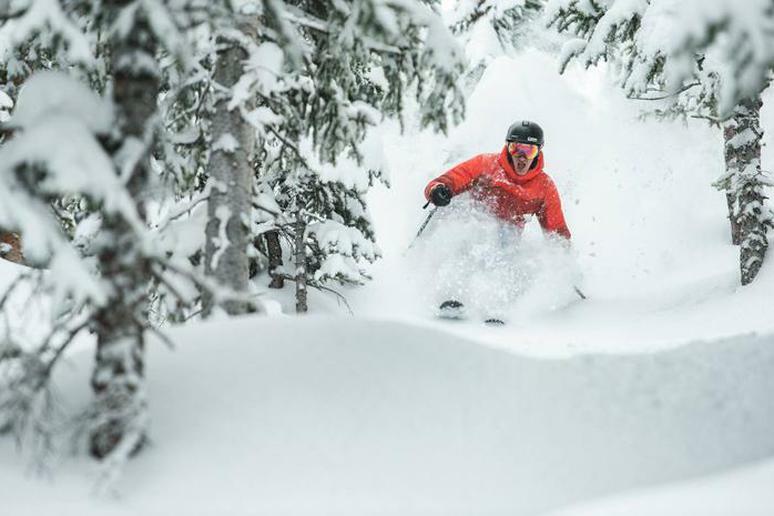 Smuggler’s Notch offers adult ski programs. New skiers can take ski lessons with knowledgeable instructors, explore new terrain and gain confidence on the slopes. Advanced skiers can work with instructors to advance their skills on the mountain. They offer adult group lessons and adult private lessons. Special programs are also offered, these consist of The Mountain Experience for Skiers and women’s programs. According to The Travel Channel, “Lake Shore Drive in Chicago is the prettiest extended stretch of urban parkway in America. 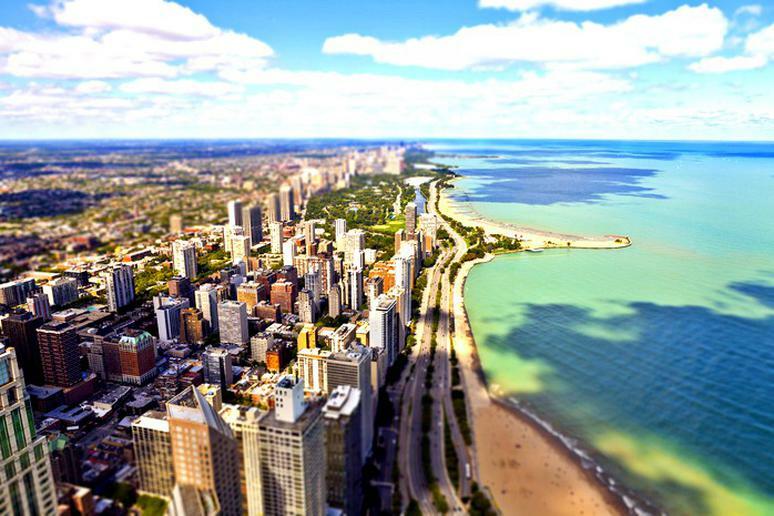 It's bordered for most of its 15-plus miles by green space, beaches, and Lake Michigan on the east and by a mix of parkland, skyscrapers, and luxury apartments on the west.” Make some stops along the way and check out Lincoln Park, the Lakefront Trail, and the beautiful beaches. Get up close and personal with animals at SeaWorld. View dolphins, sea lions, stingrays and flamingos. 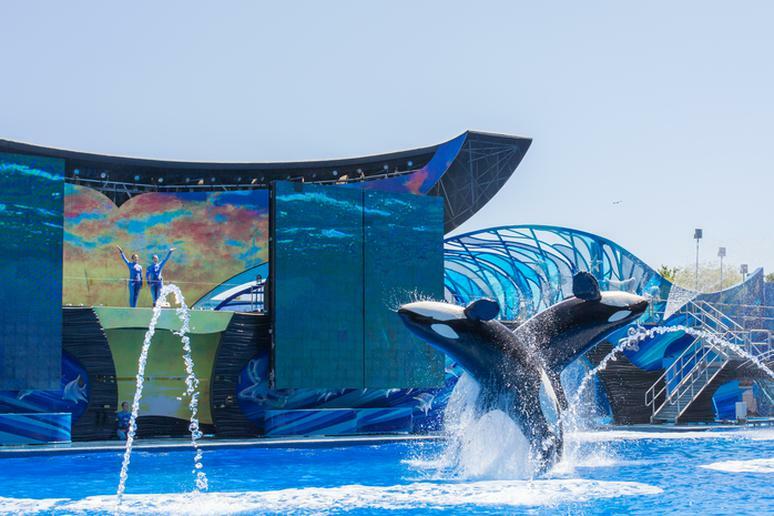 Educate yourselves in the interactive exhibits, ride roller coasters, watch spectacular shows and treat yourself to a private buffet with Shamu. 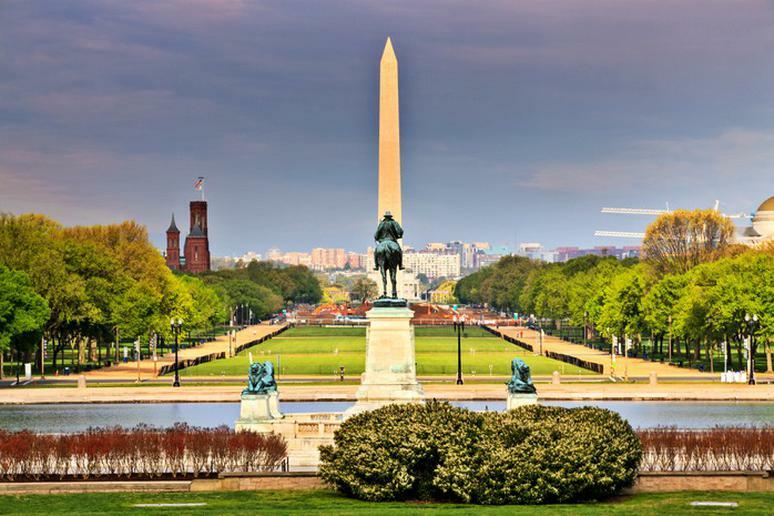 Visit the National Mall, Washington D.C. The National Mall is the heart of the nation’s capital and of the entire United States. It is where the nation celebrates, honors and demonstrates its commitment to democracy. The National Mall is accompanied by impressive structures, monuments and memorials. Yosemite Falls is one of the world’s tallest falls at 2,425-feet. 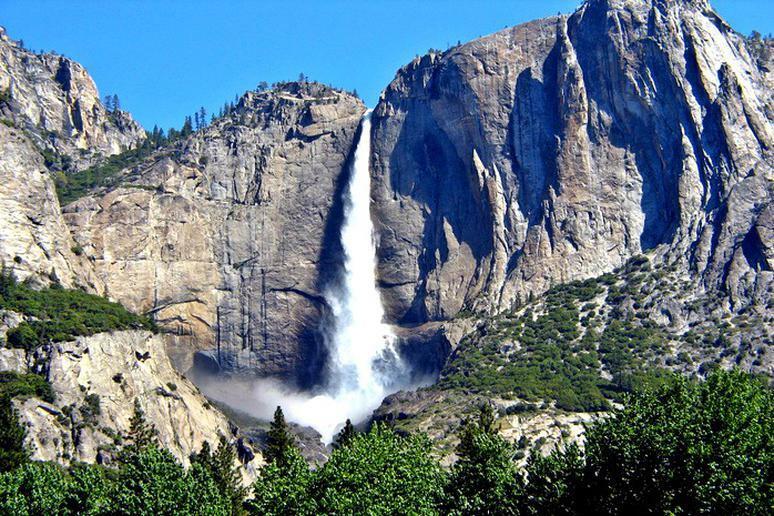 It is made up of three separate falls; the Upper Yosemite Fall, the middle cascades and the Lower Yosemite Fall. If you are up for it, take an all-day hike to the top of the falls for incredible views. Other falls located in Yosemite National Park include Sentinel Falls, Ribbon Fall and Bridalveil Fall. Glacier National Park has over 700 miles of trails and is home to over 70 species of mammals and over 260 species of birds. Going on a hike is one of the best ways to view the national park. 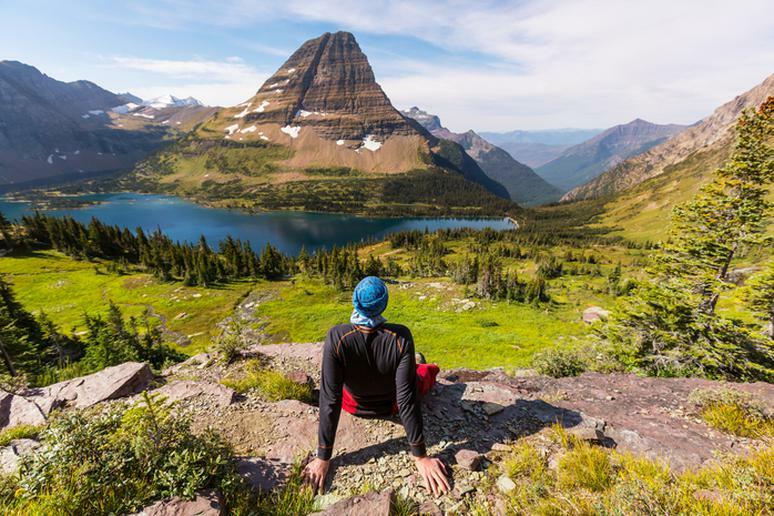 Hike Grinnell Glacier for outstanding views of beautiful waterfalls and wildflower meadows. Begin your hike at the Gribbell Glacier Trailhead. The trip is 7.6 miles and you will reach an elevation of 1,840 feet. Also, don’t forget to hike the Iceberg Lake Trail and the Highline Trail. 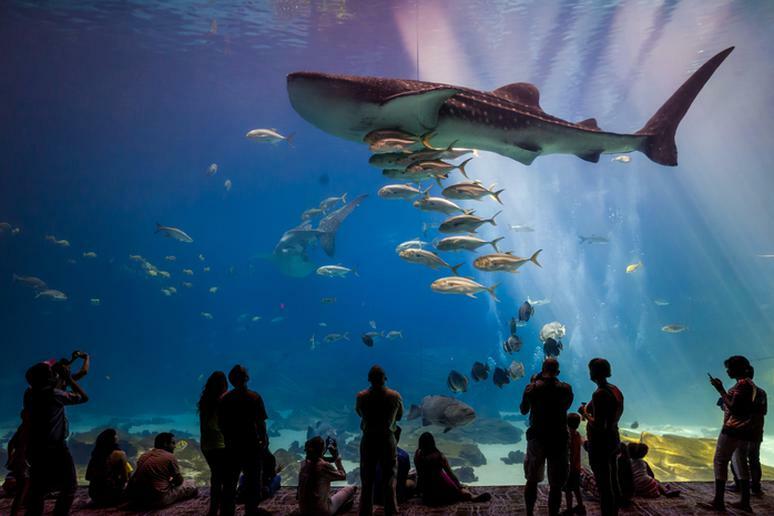 Take your family to the Georgia Aquarium for one of the best educational and entertaining trips you will ever experience. Kids will love it because they can spend the night (and so can you! ); the aquarium offers “Sleepover Programs.” You will get entrance to all presentations, guided tours, dinner, breakfast and the chance to sleep right in front of a gorgeous gallery window. Other things to do at the aquarium include animal encounters – dolphins, penguins and sea otters. 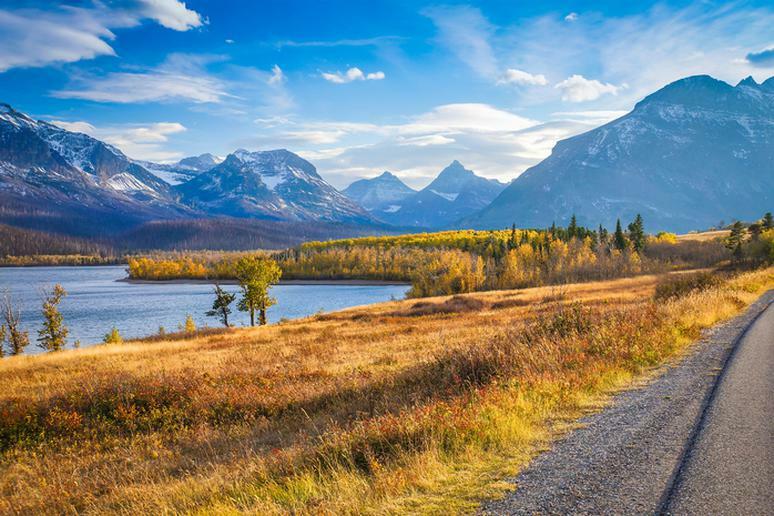 Drive through Glacier National Park and explore the incredible forests, tall mountains, and beautiful valleys on the Going-to-the-sun road. Make sure you stop at Logan Pass — and don’t forget your camera. 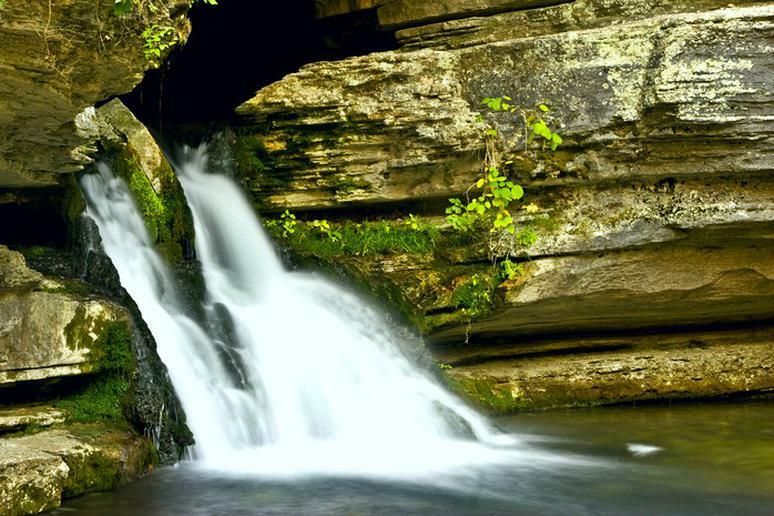 Missouri is home to thousands of caves, most of which are protected environments. Go on Ozark Caverns tour and view Angel Showers – a never-ending shower of water that seems to come straight out of the ceiling. 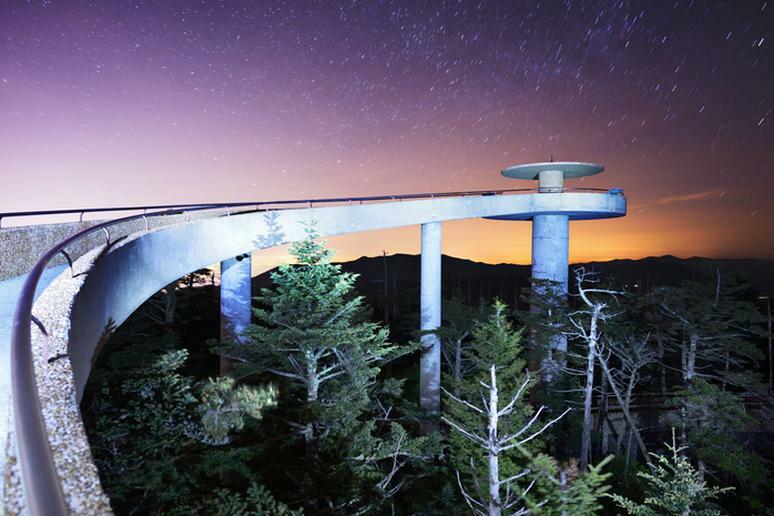 Clingmans Dome is the highest point in Great Smoky Mountains National Park, the highest point in Tennessee and the third highest mountain east of the Mississippi, according to nps. It rises at 6,643 feet. The observation tower is spectacular. It offers incredible views, but climb the steep half-mile walk to the tower at the top for an even better view. 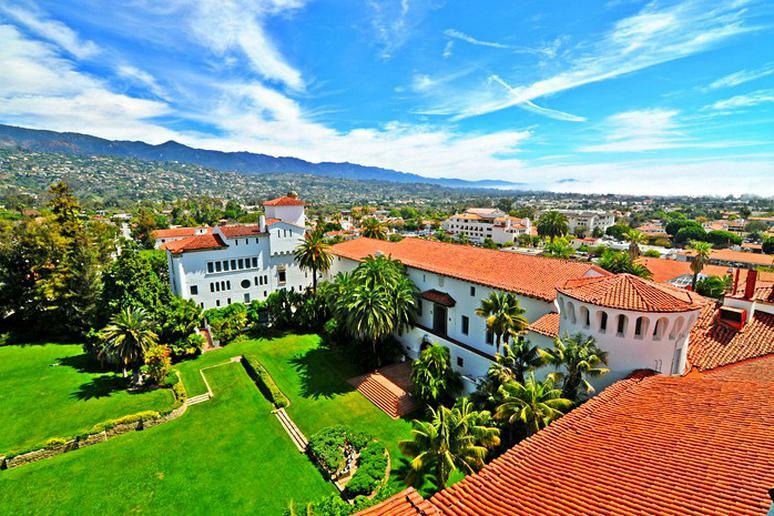 Santa Barbara is the only dropzone in Southern California and is the home of the highest tandem jump in the United States. The jump is so high that you are given supplemental oxygen on the ride up. Enjoy the spectacular views of California and film your experience. Take it home to remember the moment forever. The Betty Ford Alpine Gardens are open year-round, although their peak flower season is from June to August. Bring your family to experience a variety of exhibits, listen to live music and even share a romantic date night at their Painting Workshop. Bring your children to Betty Ford Alpine Gardens for a once in a lifetime experience. They have a Kid’s Amphitheatre, Solstice Stones and a hike up the Gore creek to a garden made for children. They also have waterfalls, meditation areas and Alpine pools. Vermont has the most breweries per capita in any state. According to Travel Like a Local: Vermont, Vermont started to gain recognition as a leading producer of craft beer in the U.S. in the summer of 2009; today there are over 40 breweries operating in the state. 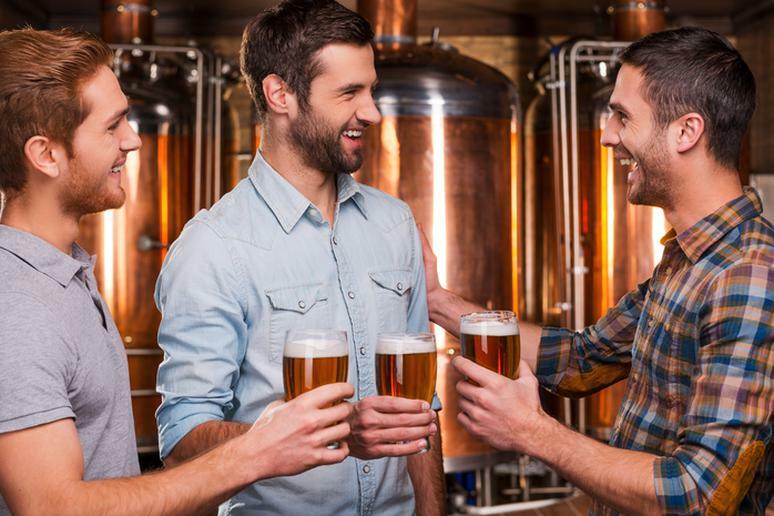 Some of the best breweries to visit include Four Quarters, Hill Farmstead, Lost Nation Brewing and Fiddlehead Brewing. 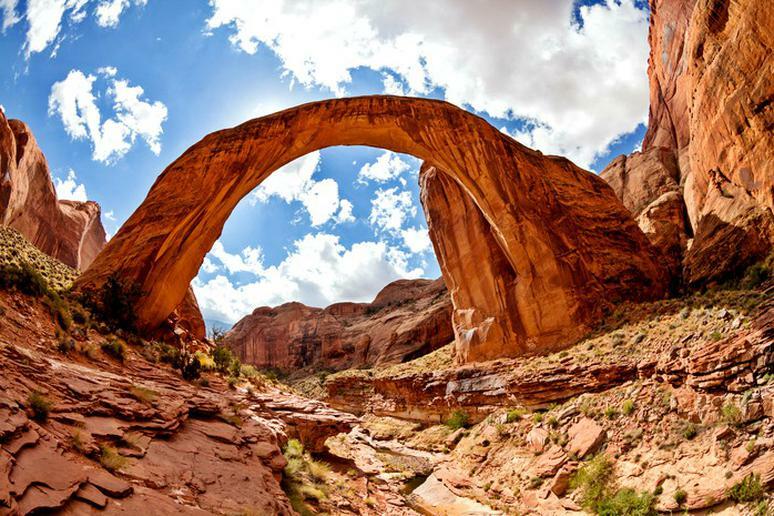 Arches National Park is home to the largest stone arch in the world – Rainbow Bridge. It is approximately 290 feet tall and 42 feet thick at its top point. The bridge is well-known to local native tribes. About 85,000 people from around the world visit each year, according to nps. 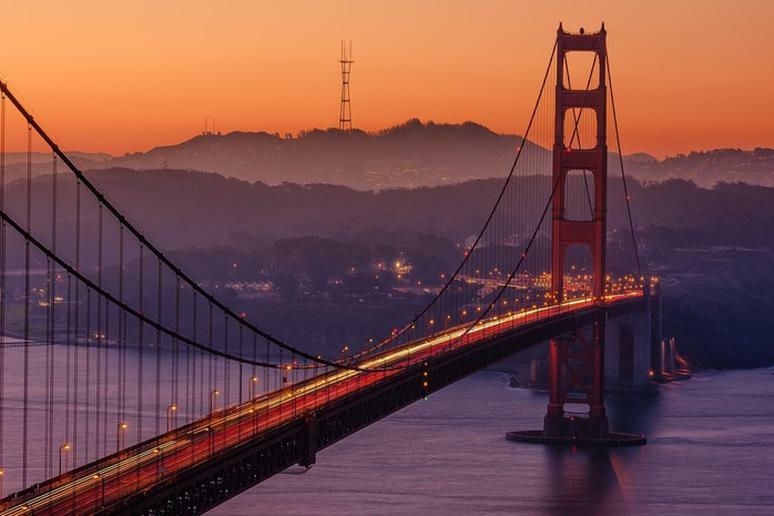 San Francisco offers spectacular skyline views and one of the best places to see them is from the Golden Gate Bridge. The suspension bridge spanning the Golden Gate strait between San Francisco Bay and the Pacific Ocean is an iconic U.S. landmark. The name is even protected by Streets and Highway Code.